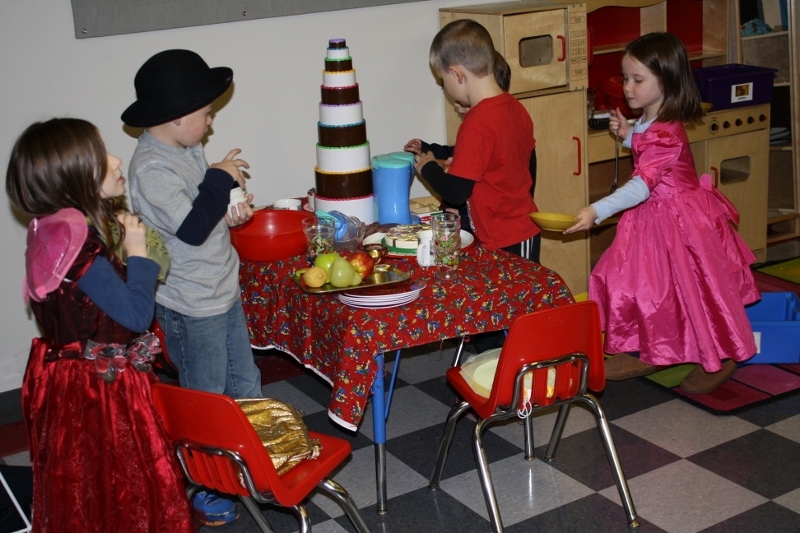 Children Learn Through Play… How?! We also often talk about our biggest philosophy here at Aldersgate: the fact that we believe children learn most effectively through play. Quite often, we as a society mistakenly equate play with being mindless, unmeaningful “extra” time for kids to just do as they please. We hear the rumors about kindergarten and how “academic” elementary schools are with their high stakes testing and standards. It’s scary. 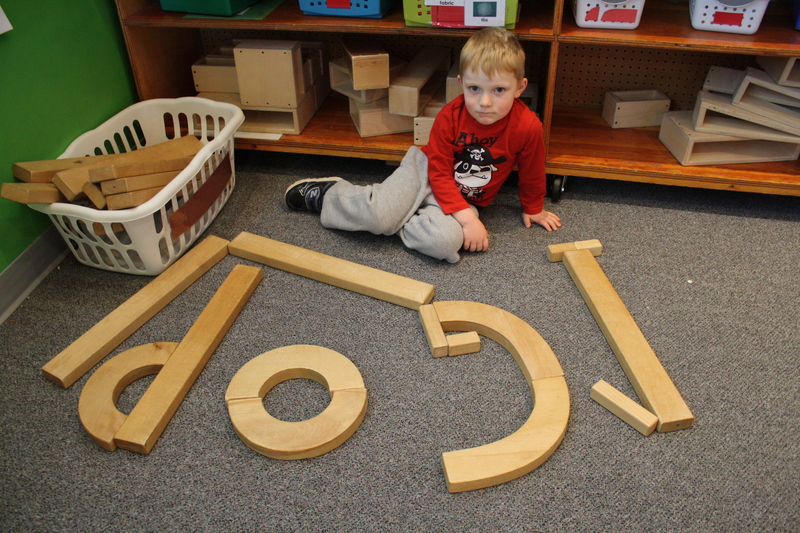 And, so, sometimes we begin to think that perhaps preschool should look more like those elementary schools with worksheets, flashcards, rote memorization, desks, and direct instruction. But, how one defines the word academic is important. If we believe that academic means “the act of study or learning” then we could easily say that play and academics do go together. 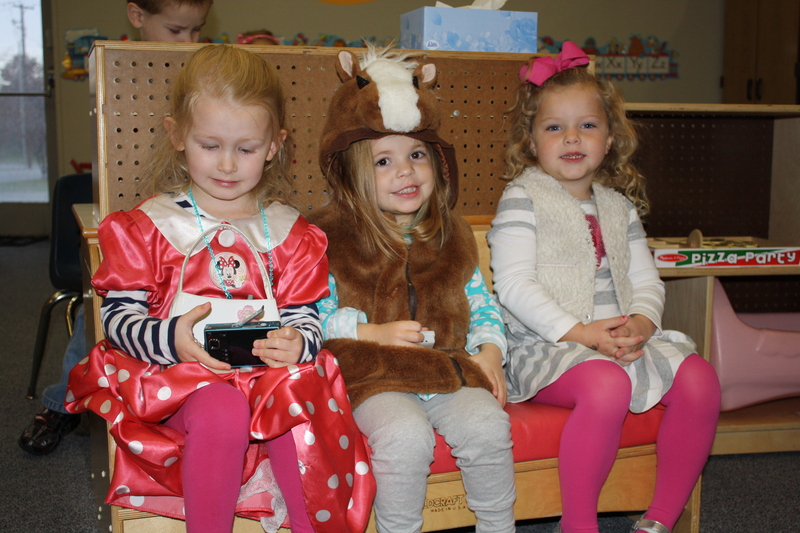 At Aldersgate Preschool, we believe that play is academic. It is the way that children are meant to learn. 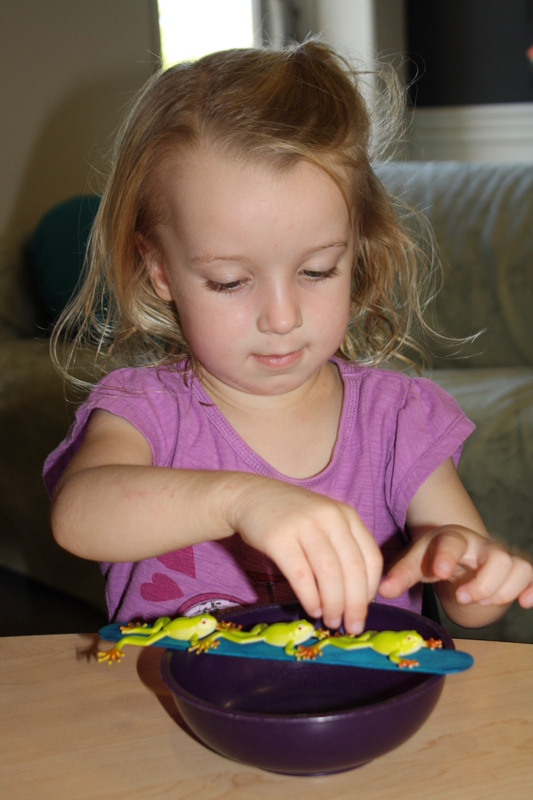 It is active, hands on, meaningful, and fun. This past Friday as I taught in our 4/5 Year Old Enrichment class, we had a taste test to vote on who likes the taste of snow and who doesn’t. Before we voted, I made snow using a snocone machine and some ice. (Because it’s so much more meaningful when we get to taste the snow rather than imagine tasting it.) After counting the votes, we showed the number on our fingers. Someone in class asked aloud, “I wonder how many fingers there are in this whole class!” Hmmm… first we took turns sharing our estimates and then we all held up our fingers and counted, by 10’s. Most children were able to do it and if they couldn’t, they quickly learned. We counted to 100! That’s a lot of fingers! But, we weren’t done there, there were more fingers to count. In the end, we counted to 140! Just through a simple conversation, the kids practiced estimating, we worked on counting by 10’s, we counted to 140, and so much more! This wasn’t part of my lesson plan but it was something that the children were interested in and so we “went with it.” Did you know that when learning is meaningful to children, they are 80% more likely to retain that knowledge? And child psychologists, specialists, teachers, and other early childhood experts would agree. 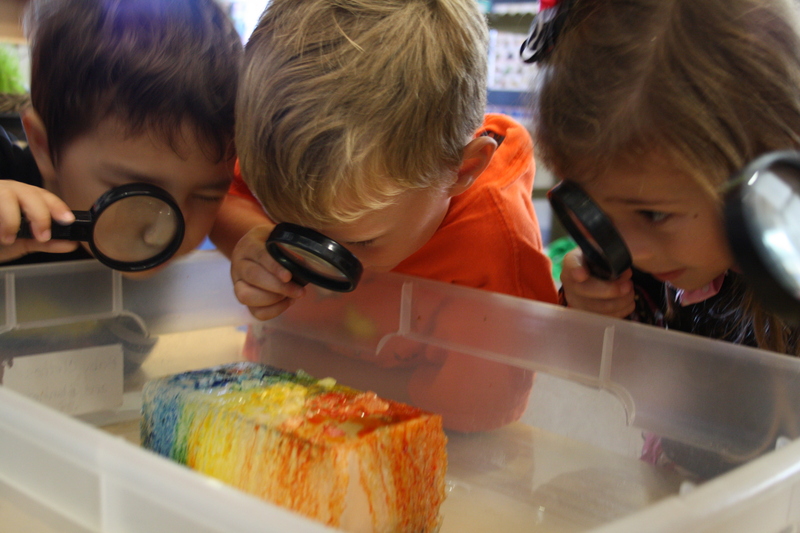 *hands on activities *science experiments *building *discovery *singing *reading *questioning *cooking *talking *games *painting *creating *drawing *moving *thinking *sharing *counting *cooperating *planning and so much more!